Builder Tary is a genius at turning unappetizing LEGO bricks into yummy-looking treats. 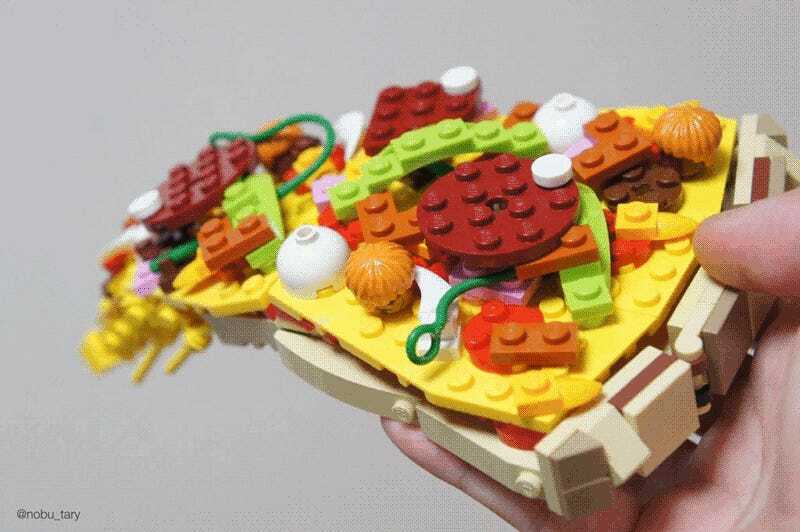 Based in Tokyo, for the past few years, Tary has been producing an array of excellent custom LEGO sculptures, but his food work, in particular, is quite brilliant. For example, here is his LEGO ten don (天丼), which is tempura on rice. And here is LEGO tendon compared to a tendon sample spotted outside a restaurant. Eating said bento. Well, not eating it. Katsu don (which is deep fried pork with egg on rice). Okay, now I want pizza. Follow Tary here on Twitter for more tasty-looking LEGO creations.